TSP Legal > News > General News > Are You a First Time Buyer? 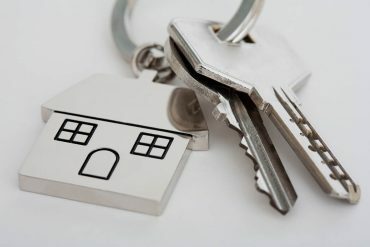 Purchasing a property can, at times, seem confusing and complicated, particularly if you are first time buyer and have not been through the process before. The Thompson Smith and Puxon (TSP) Residential Property team will guide you through the process every step of the way. However there are, for first time buyers, some points that it might be useful to think about before making the decision to buy. If you are looking to purchase a property with a spouse, partner or friend you will need to decide what type of ownership is best for you both. Property can be owned in two ways: as joint tenants or as tenants in common. With a joint tenancy, each owner is equally entitled to the property, and when one of the owners die their share automatically passes to the surviving owner or owners. The consequence of this is that you cannot leave your share of the property to someone else in your Will. A tenancy in common is where you can own a specific share of the property. The shares do not have to be equally sized, so one party could own 60% with the other owning 40%. With a tenancy in common your share can be left in your Will to someone else other than the other owner(s). It is also possible, and advisable, to draw up a deed or declaration of trust with the other owner(s) to record the shares in more detail. There are pros and cons to both types of ownership. Which one is right for you will depend upon your personal circumstances and your lawyer can advise. There was good news recently for first time buyers in relation to Stamp Duty Land Tax (SDLT). Since the 22nd November 2017 first time buyers purchasing a residential property in England and Northern Ireland for £300,000 or less will pay no SDLT at all. For a first time owner purchasing a property between £300,000 and £500,000 they will pay no SDLT on the first £300,000 and then 5% on the amount above £300,000. There is no first time buyer relief if the purchase price is above £500,000. A first time buyer is defined by the Inland Revenue as an individual who has never owned an interest in a residential property in the United Kingdom or anywhere else in the world and who intends to occupy the property as their main residence. The property being purchased must also be classed as residential rather than commercial or mixed use. It is possible to get help with the purchase of a property through a Government Help to Buy equity loan. To be eligible you must purchase a property that is being newly built by a registered Help to Buy builder and which has a purchase price of no more than £600,000 (in England) and £300,000 (in Wales). The property must be your only property at the time of completion and cannot be rented out. You do not necessarily need to be a first time buyer to take advantage of this scheme. You will need to have 5% of the purchase price as a deposit and the government will lend you up to 20% (or 40% in London). The remaining balance can be made up from your mortgage. After the first five years you will start to pay interest on this loan and when you come to repay the loan it is likely that you will pay back more than you borrowed. You must therefore ensure that you have researched the costs and suitability of this product before applying. Based in Colchester and Clacton the TSP Residential Property team can help and advise on all aspects of buying or selling a property. If you would like more information and advice please call 01206 574431 or contact us by email at info@tsplegal.com.